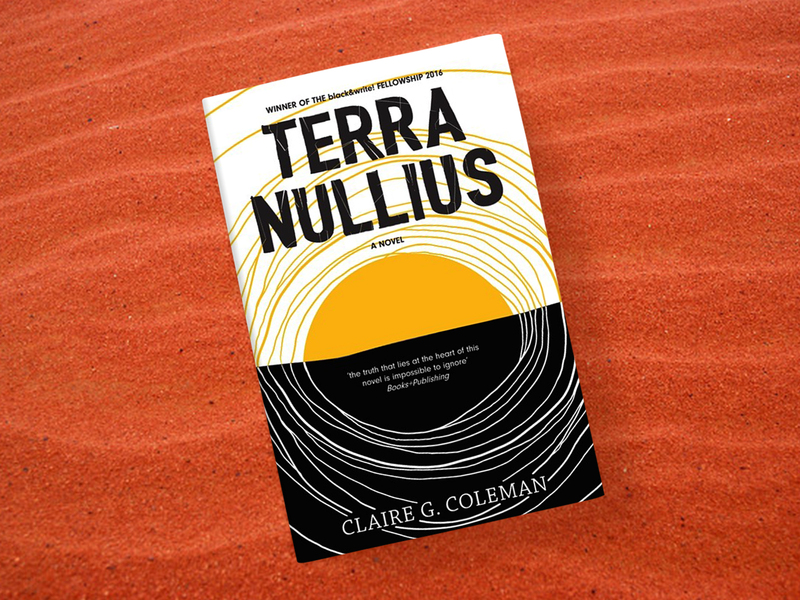 Claire G. Coleman is a Noongar woman whose ancestral country on the south coast of Western Australia provides the backdrop to Terra Nullius, an ambitious work of speculative fiction. Coleman’s own family’s stories of resistance and resilience are weaved through what begins as poetic historical fiction and becomes something else entirely. Like many reviews of Terra Nullius, this post won’t give much away for fear of spoiling what is a plot that is best left to your own discovery. What I can say, however, is that I’m sure that when the judges of the prestigious Queensland State Library’s black&write! award picked up the manuscript for what would become Coleman’s debut novel, they felt sucker-punched it. There’s a beauty in Coleman’s words, which carry a certain poetic quality. Her words are selected carefully, to provoke empathy, even in unexpected places. I found myself feeling more empathy for British settlers than I expected and this is an aspect of the novel that is crafted beautifully. It is written from a clear and deep position of empathy. Things get weird in Terra Nullius, in the kind of way that speculative fiction is wont to be. The first third of the novel is a slow burn – something you’ll come to understand later in the reading as a deliberate establishment of a world based in historical fact. It’s dense and slow-moving, but in a way that keeps you captivated, which had me thinking of Tom Keneally’s The Chant of Jimmie Blacksmith and Henry Handel Richardson’s The Fortunes of Richard Mahoney. I read a lot of John Wyndham as a kid, so what ensues is right up my alley. Coleman plays with time in a way that allows her complex narrative to unfold to greatest effect. There were a couple of stages where I felt like the work had been pulled apart and reconstructed in a patchwork fashion, but this didn’t detract from my enjoyment of it at all. Terra Nullius is a work you can only read for the first time once. But it’s a novel you’ll return to again with new eyes, and one that will keep you thinking long after you put it down.